See the true magic of Disney at work through this captivating collection of stories that shows the amazing versatility of the Disney magic - its capacity to heal, to instill a dream, to draw people together, to evoke kindness and compassion, to encourage someone to go on, and above all, to make people happy. Written for kids from 10 years to 100 years, you will not want to miss out on this collection of real stories about real people. Join Disney artists, cast members, and guests young and old and see how the power of the Disney experience has impacted their lives. Read the full story behind the family of two year old Jack Jack's love for Snow White. Hear from Disney artists and see how a dream can turn into a reality. 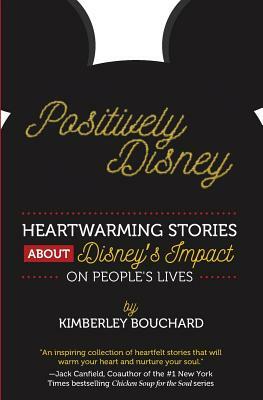 Learn about a poverty stricken child whose entire life changed because of a day trip to Disneyland. Hear from a Run Disney multi marathoner and cancer warrior. Kimberley Bouchard is an author, educator, and entrepreneur. She grew up watching the Wonderful World of Disney on television on Sunday nights. She has visited Disneyland, Disneyland Paris and is a frequent visitor to Walt Disney World. She loves all things Disney and unabashedly admits that Donald Duck is her guy. Originally from Canada, she now resides in the Seattle area with her husband, their three children, and various critters.